The fuel ethanol was still a hot issue in China's ethanol industry in 2018. The fuel ethanol capacity had reached 3,760kt/a recently, up 7.12% Y-O-Y. It was expected to increase by the end of 2018. The fuel ethanol market received great attention following the ethanol gasoline promotion policy jointly issued by NDRC and the other 14 ministries, committees and departments in September 2017. Therefore, the import volume of denatured ethanol rose from less than 10kt last year to 340kt in Q1 2018, manifesting the immense potential demand in China’s market and boosting the domestic and overseas markets. 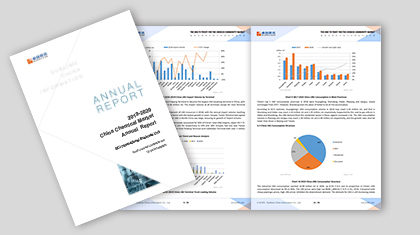 This report provided the supply status of China’s fuel ethanol industry in 2018, the newly added units in the future, and professional statistics of the actual demand and inventory of the fuel ethanol industry from end users. With in-depth researches on the field of the fuel ethanol industry, SCI offered much more exclusive data in this report. In 2018, China's edible and industrial ethanol capacity has reached 13,000kt/a. The ethanol industry witnessed many changes in 2018. The corn-based ethanol maintained significant increment as expected and held growth potential for the future. The supply of cassava-based ethanol went down sharply, and the feedstock supply and the price adjustment caused new fluctuations in China’s market. Restricted by the negligible bottleneck of profit, the synthetic industrial ethanol industry slowed down the development pace. SCI remained committed to the upgrade of industry information and never stopped forging ahead. SCI provided new contents and highlights including the analysis of source flow, consumption, inventory and value chain. With the support of huge database and perfect information, this report paid close attention to the market trends and welcomed subscription from customers. SCI has engaged in commodity research for 15 years and offered the ethanol information service for 11 years. SCI has earned widespread acceptance by virtue of the accurate and reliable data as well as the continuous focus on the ethanol industry. According to the original data investigated by SCI, combined with the authoritative data released by the General Administration of Customs of the People’s Republic of China (GACC), China Statistics Bureau etc., this report makes detailed analysis of the ethanol market in the recent 5 years, including the supply-demand structure, variation tendency, core competitiveness, etc. and provides scientific forecast on market trends in the next 3-5 years. 1. To provide the supply and export analysis of major ethanol producers globally. 2. To present the latest supply status of China’s ethanol import origin since the trade war between China and the U.S.
3. To present China’s edible and industrial ethanol capacity, output and operating rate by region and by variety in the recent 5 years, to make customers better understand the production status and development trends of China’s different ethanol varieties. 4. To present exclusive supply and demand data, and the statistics of units that are under construction or planning of China's fuel ethanol industry, and to help the market participants gain the core competitiveness through the analysis of the progress and future development of industrial policies. 5. To make professional analysis of the consumption demand covering the downstream industries by region. 6. To make detailed interpretation about industry highlights and relevant policies from macro and micro levels.